I’ve been exploring the vast world of “Plays Monk” by various musicians (as you see on my previous posts here), while my five-years-old daughter fell deeply in love with one particular song. 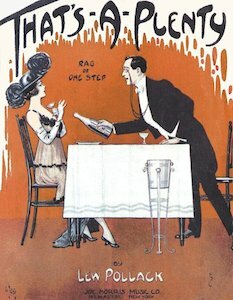 The song is “That’s A Plenty”, an old standard tune written by Lew Pollack and Ray Gilbert in 1914. Her iPhone (handed down from me) always contains many versions of “That’s A Plenty” (32 versions so far) – she enjoys this number so much, listening to it, humming along with it, playing it on keyboards, etc. It was March 10, 2013 when she firstly met the song (and fell in love with it) – an annual recital by an elementary school brass band was held at the gymnasium of the school, and I thought we would go there, as I knew there was also a demonstrational performance by the professional Jazz musicians, Yoshihiro Nakagawa & Dixie Summit. 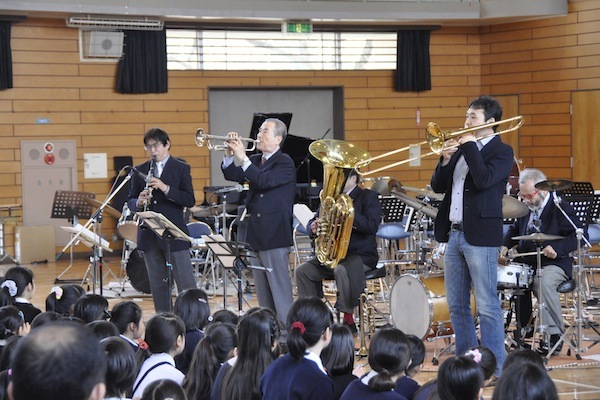 Members included Yoshihiro Nakagawa (tp), Eijiro Nakagawa (tb), Masahiro Goto (cl), Ken Aoki (bjo), Tsutomu Ienaka (tuba) and Hiroshi Hidaka (ds). Personally the performance by the two masters, Eijiro Nakagawa and Ken Aoki, was the most amazing to listen to. 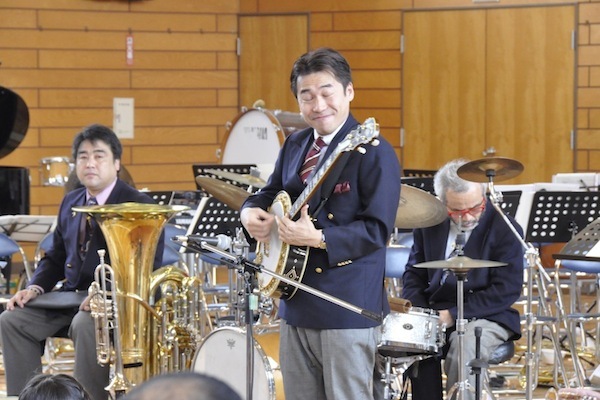 Aoki-san even peformed Gershwin’s “Rhapsody In Blue” in unaccompanied banjo solo! 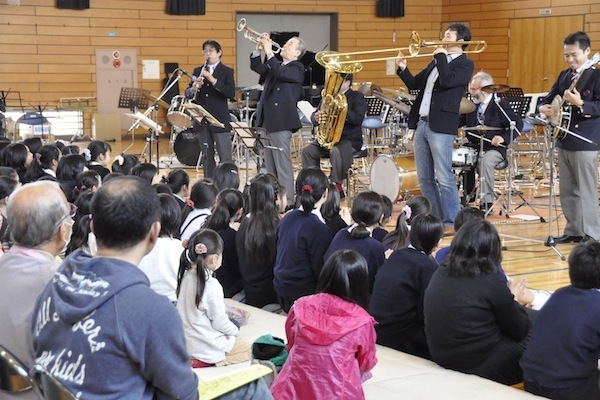 The first tune they played in front of hundreds of kids and parents, with a preliminary statement by Yoshihiro-san “…the first tune we’re gonna play is, probably, one of the most famous Dixieland standards…” was “That’s A Plenty” – a very standard, very exemplary, very enjoyable performance it really was! Just ten days after the recital, she was humming a melody of “That’s A Plenty” while riding a bicycle! She really fell in love with this old tune! 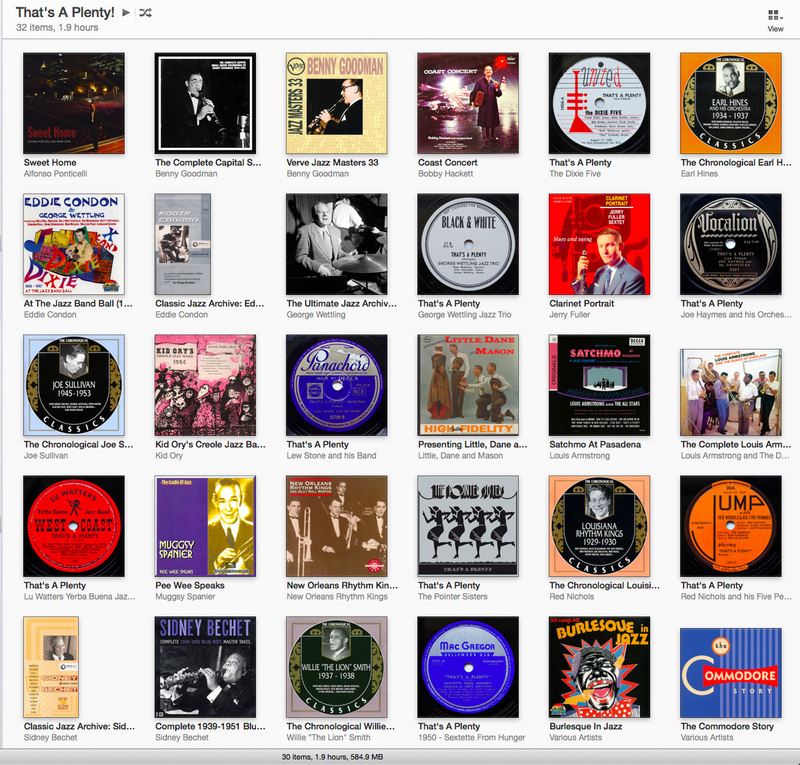 So I started looking for various “That’s A Plenty” from my own CD/LP collection (unfortunately I don’t have any ”That’s A Plenty” in my 78 rpm collection…), and I thought I wanted to let her listen to them. and tagged Jazz, Lew Pollack, Ray Gilbert, That's A Plenty, 中川喜弘 (Yoshihiro Nakagawa), 中川英二郎 (Eijiro Nakagawa), 青木研 (Ken Aoki).